The official opening ceremony of the festival took place on September 16 in the Artus Court. The event was accompanied by the concert of the Igor Boxx (Ninja Tune) A/V set, visuals: VJ Spectribe. 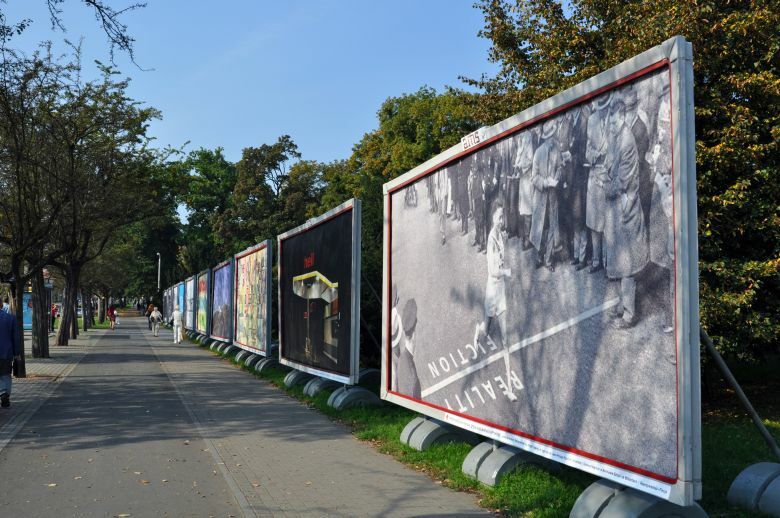 From September 16 till October 16, 33 works were exhibited on specially prepared billboards on Rapacki Square, as well as on special constructions on the New Town Market, mega-billboards placed on buildings and LED displays. 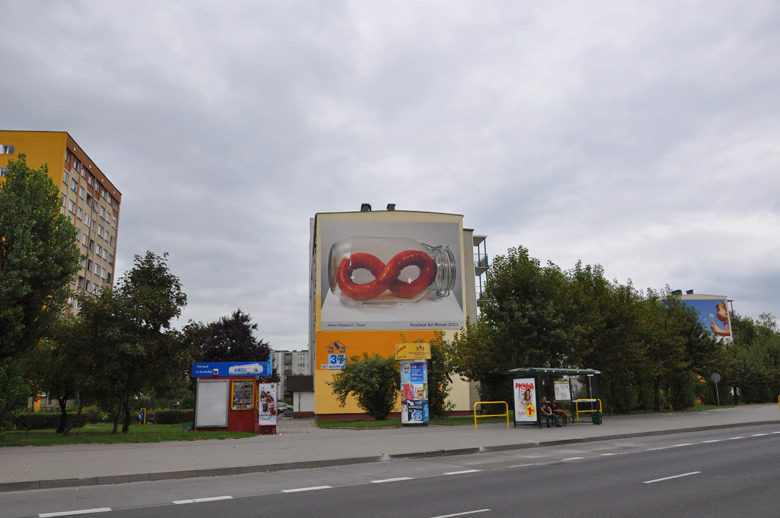 The work of Adam Niklewicz was exhibited on the block of flats on Przy Kaszowniku street. On September 16 we held a tour around the whole exhibition with the artists invited, as well as a meeting entitled “Reality or fiction? Let’s pretend it’s not there” with Marcos Ramirez ERRE, Ken Lum, Andrew Willet, Justyna Ryczek and Galeria Rusz. During this edition of the festival, outstanding artists Marcos Ramirez ERRE and Ken Lum were given the Art Moves Special Award. The award is conferred upon artists consequent in their attitudes and artistic activity, who remain open to the surrounding reality, a rare quality in today’s world. Such a quality is manifested through the creation of outstanding works of art that are not only moving, but also encourage new interpretations, allowing us to take a fresh look at our own selves and at the world we live in. The award is a tribute paid by artists – the organizers of the festival – to the awarded artist. It is to express the fascination and joy that comes from experiencing the work of this artist. It also serves as a guide for the viewers, encouraging them to take a closer look at the works of a given creator. In 2011, the winners were: Marcos Ramirez ERRE and Ken Lum. Marcos Ramirez ERRE lives and works in Tijuana, Mexico and San Diego, USA. He creates installations, sculptures, paintings, videos and drawings. 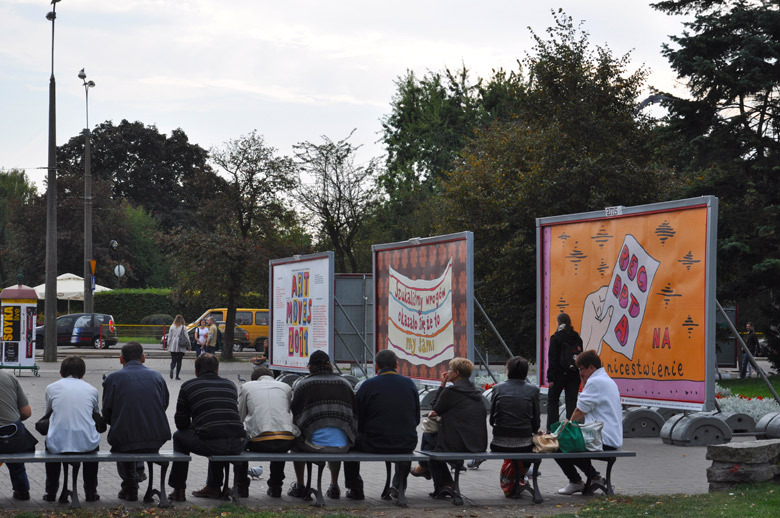 He is also the author of large-scale public art installations, permeated with political and social consciousness. For many years now, he has been a mediator in the dialogue between the cultures of the borderland. He has participated in major exhibitions such as the VI and VII Havana Biennale, Whitney Biennale, the Sao Paulo Biennale, the California Biennale and the Moscow Biennale. 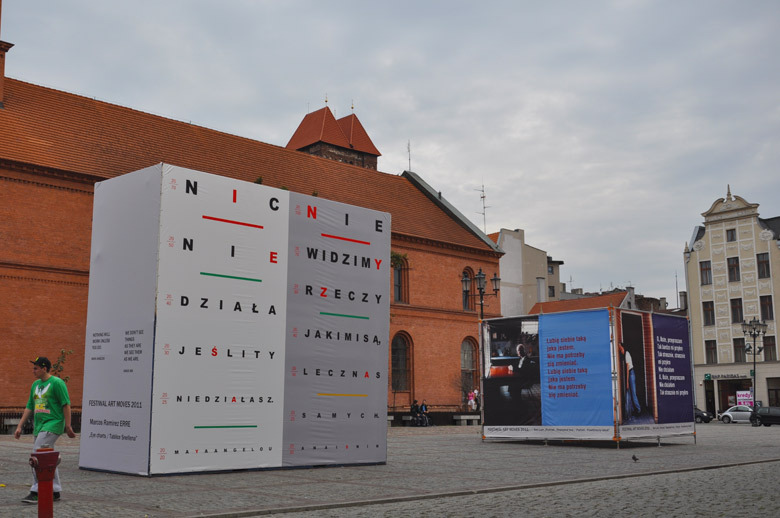 Since the artist is to receive the Art Moves Special Award, he has prepared four works in Polish, which will be presented in the New Town Market. Ken Lum is an outstanding Canadian artist, who lives and works in Vancouver. 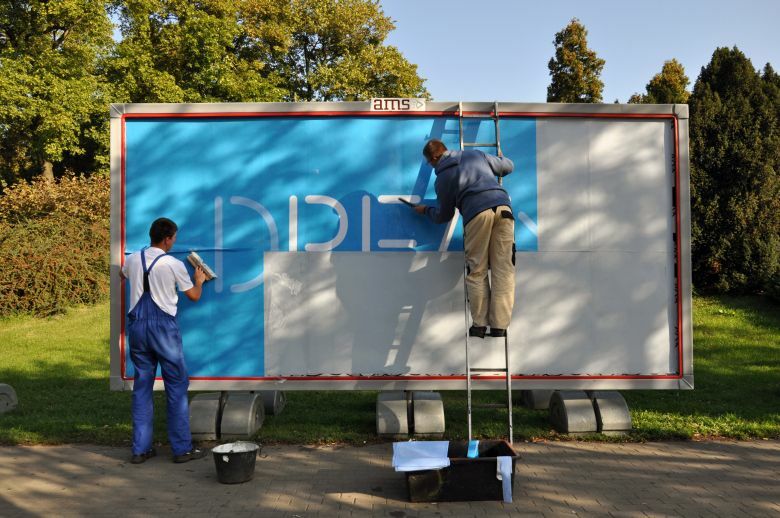 He is a multidisciplinary artist – a painter, sculptor and photographer. His art is conceptually oriented and it deals primarily with the issue of identity. Lum has received numerous prestigious scholarships and awards, he represented Canada at the Sydney Biennale, the Sao Paulo Biennale, the Shanghai Biennale, and the Documenta XI exhibition. 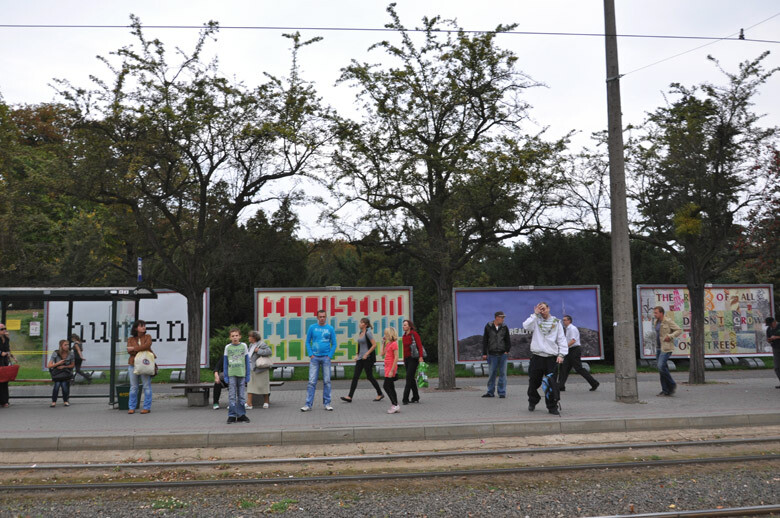 Lum has also worked on many public art projects. 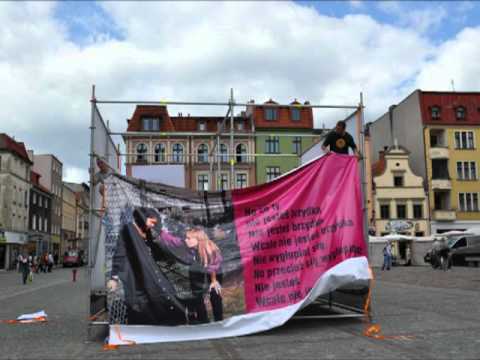 Since the artist is to receive the Art Moves Special Award, he has prepared four works in Polish, which will be presented in the New Town Market. 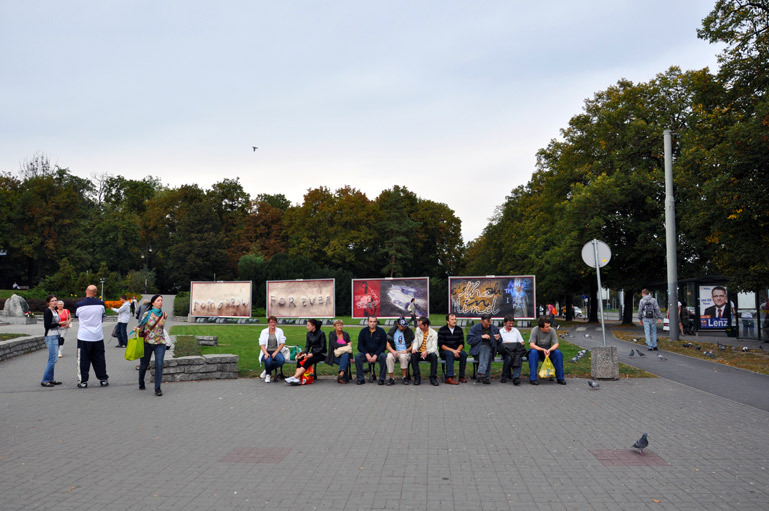 The festival has been co-funded by the Minister of Culture and National Heritage, the Local Authorities of Kujawsko-Pomorskie Region and Toruń Municipality. 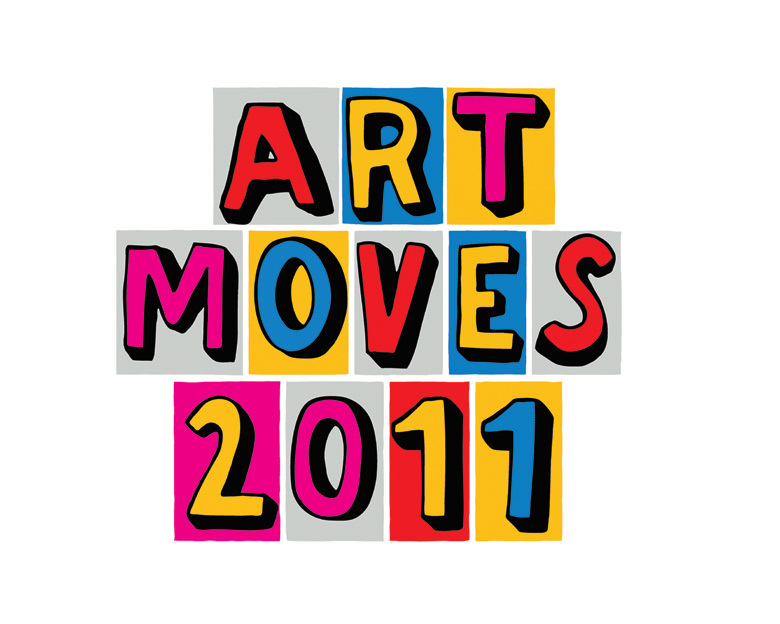 Art Moves Festival was held under the honorary patronage of the Ministry of Culture and National Heritage, Piotr Całbecki, Marshal of the Kujawsko-Pomorskie Region and Michał Zaleski, President of Toruń. 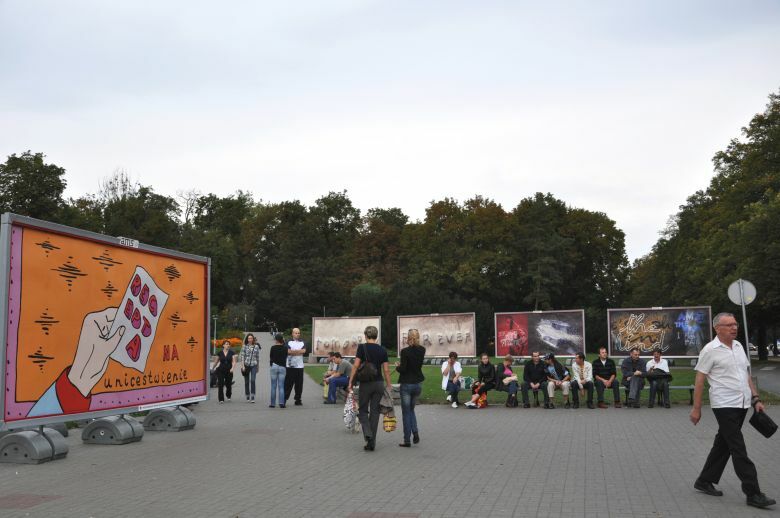 Media sponsorship: AMS SA, Polskie Radio, TVP Kultura, Arteon, O.pl, artinfo.pl, cowtoruniu.pl, TVK Toruń, STGU, Independent.